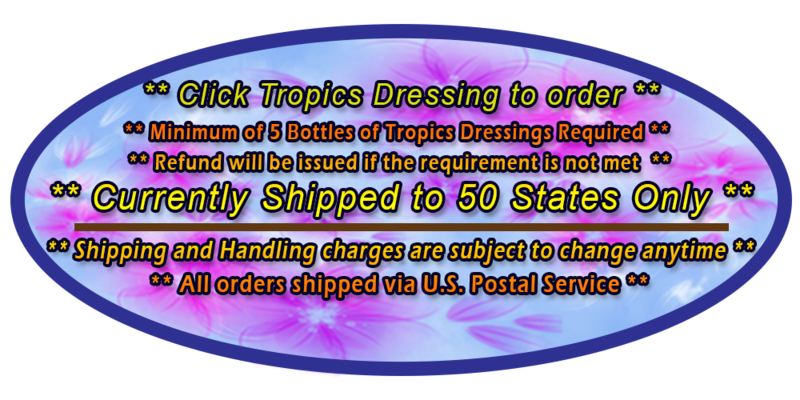 to obtain Tropics Dressings locally. Smooth and creamy with that classic thousand island taste. This dressing can also be used as a dip. A zesty french dressing with a tangy tomato taste. Great as a shrimp cocktail dip. A smooth creamy french dressing with a subtle kick to it. This dressing is perfect for a cool tossed salad on a hot summer day. Same great flavor as our original oriental dressing, but without the calories. One of the best tasting fat free dressings you'll ever try. A roasted, toasted sesame seed flavor with a soy sauce base. If you like the smell and taste of roasted sesame seeds, you'll love this dressing. Great as a marinade for chicken as well. 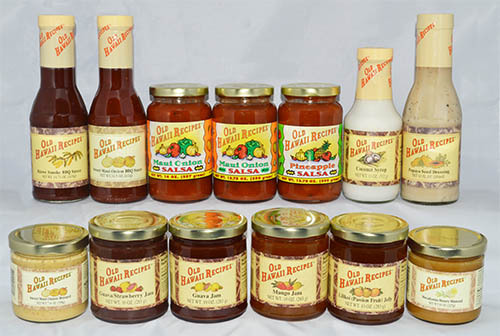 This is the same delicious salad dressing that comes with the Fresh Express Oriental Salad Kit. Now you can get it in larger quantities!